I am home! Which means that I can now take proper outfit photos again with a professional photographer! My lovely sister in law is an absolute pro (check out her blog) and she takes some gorgeous photos. So I was lucky enough to nab her for a few minutes to take mine! This outfit is all about the jacket, I am literally in love! I chose this jacket from the daisystreet.co.uk bloggers event a couple of weeks ago and it arrived this week and I have been dying to wear it since! 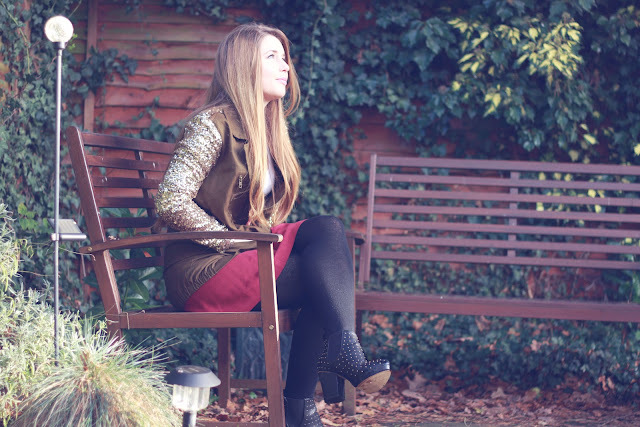 I wore it to the Bbloggers Christmas party on Saturday aswell and got so many lovely compliments about it! I first saw Millie on Made In Chelsea wearing a similar jacket a few weeks ago and knew I needed one from then! I have a feeling it is going to be copied by every brand around and in a matter of weeks, everyone will have one, like the famous camo jacket! But I don't care I still love it! Also check out my new boots, another amazing F&F item which look so expensive and are super comfy!! What a lovely outfit! 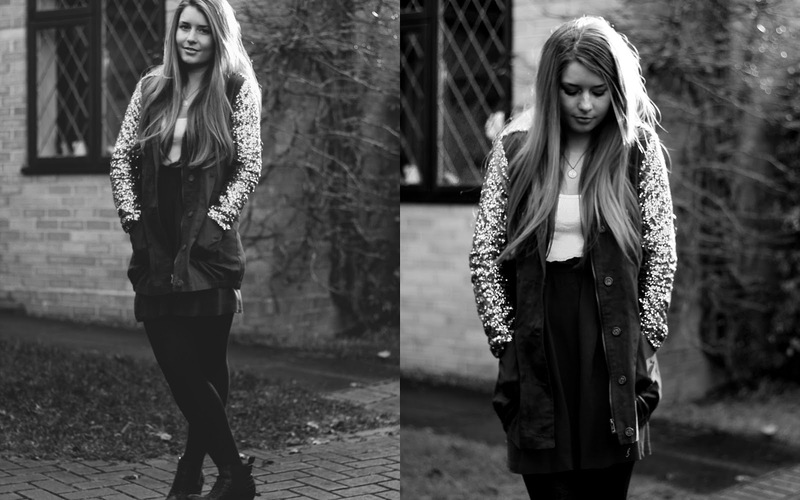 In love with your jacket too, it look's so beautiful! 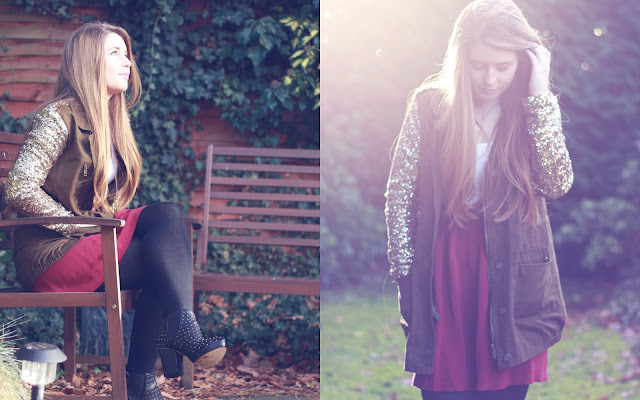 These are fantastic photos great review and outfit!